Chemical based sunscreens absorb into the skin and absorb UV rays, Physical based sunscreens stay on the skin's surface and reflect UV rays. Chemical Sunscreens need to be rubbed in like a lotion 15-20 minutes prior to exposure. A combination of 2-6 active ingredients are found in Chemical Sunscreens: oxybenzone, avobenzone, octesalate, octocrylene, homosalate and octinoxate. 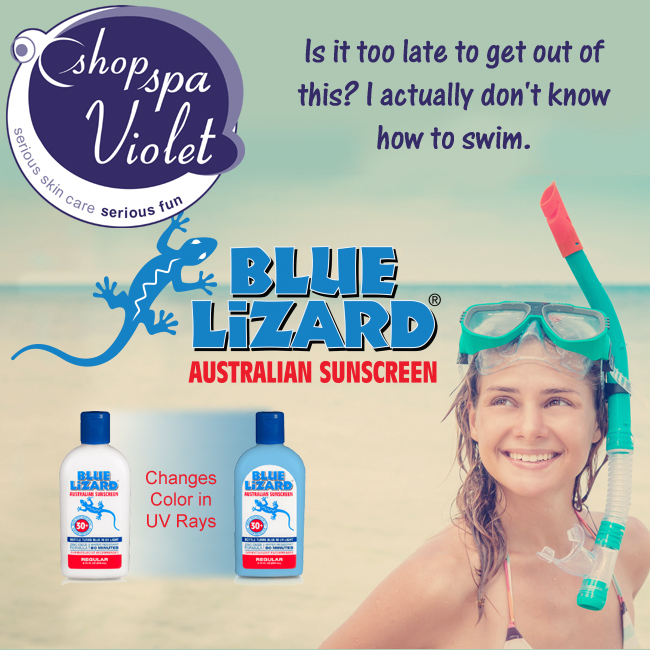 If opting for a Chemical Sunscreen avoid those with oxybenzone, which is rated an 8 out of 10 on the hazard score by the Environmental Working Group (EWG) based on skin penetration, hormone disruption and allergic reactions. Better to choose a 3% avobenzone which is rated a 2 out of 10 by the EWG, the same rating as zinc oxide and titanium dioxide. Physical Sunscreens are to be applied in a thin layer and not rubbed in. The active ingredients titanium dioxide and zinc oxide reflect the sun's rays like a mirror. Zinc oxide delivers the best UVA/UVB broad spectrum coverage and does not break down as readily in the sun, offering longer protection. Titanium dioxide and zinc oxide tend to appear white and chalky on the skin, Geisha-like, but the new micronized zinc oxide and titanium dioxide are almost clear. Don't be fooled by SPF's, anything over 50 is just a higher % of chemicals you may want to avoid. Plus SPF indicates protection from UVB rays only and not the more threatening UVA or aging and deeper penetrating rays. Remember sunscreens can protect us from sunburns, but not necessarily from skin cancer. Some studies have shown a reduction in squamous cell carcinoma (SCC), but not in other genres of cancer, such as melanoma. Sunscreens are now labeled as water-resistant in lieu of waterproof. When you see the word "Sports" on sunscreen labels it usually means the sunscreen will stay on wet skin for 40 minutes (water-resistant) or 80 minutes (very water-resistant). Chemical sunscreens, unlike mineral, are water and or sweat resistant and are better for a day at the beach or outdoor sports. Therefore re-apply, re-apply and re-apply. Did I mention re-apply ? If wearing makeup and you don't want to start all over for re-application try a mineral powder such as Colorescience Sunforgettable Brush in SPF 30 or 50. And another tip to avoid the Geisha look when at the beach or at bootcamp try layering a tinted physical sunscreen over a chemical.